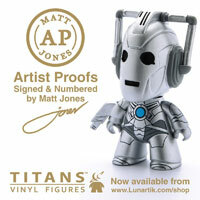 If you are unable to locate a Tardis set you could keep an eye on www.amazon.co.uk where the price can get more competitive with multiple sellers competing. To find your nearest store visit www.bmstores.co.uk. Please ring (option 3) to check availability before travelling. Please contact www.bmstores.co.uk if you require more information. A Bill Potts Action figure in her most recognized top is available to order exclusively from www.amazon.co.uk. 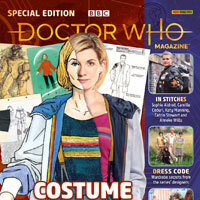 The Amazon post should be updated in the near future with official images which have been issued. Bootle Strand had them in this afternoon. There were 3 left about 3.45pm. Switch Island store said they’d definitely be getting them in, they had 6 on order. Ps this is in Liverpool. I have just been to Salisbury B&M where they have tardis sets and 4th and 11th. I just wanted to ask anyone what they thought of the 1970s set? To be honest I think for the price that B&M are selling the figure sets they are of a reasonable decent quality. I am just more than happy to see the Tom Baker figure in his Talons of Weng Chiang outfit? I have a question, and sincerest apologies for asking this in the forum .? Was this the only TV story that Tom Baker did not wear his iconic trademark scarf at all? I know in Planet of Evil & The Deadly Assassin it made a brief appearance ? Can any of my fellow Whovians enlighten me at all ? Thanks. 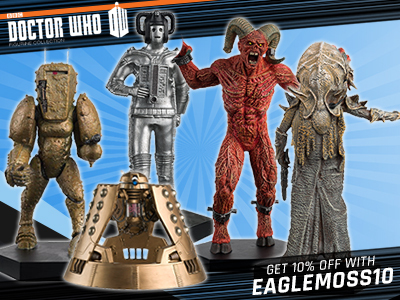 It’s absolutely the must – have set of this year ‘s releases for me, even more so than the TARDIS set. Of course it’s also rarer than hen ‘s teeth in my neck of the woods and though I’m massively grateful to staff at my nearest B&M for saving the last one for me, the Tom figure has really poor, flaky paint apps on the face (I’ve wanted a Talons Tom for years now), so much so that I’ve actually swapped the head out for the “serious Tom” head from the original 4th Doctor figure. It’s also a pity they couldn’t get the patterning on the car symmetrical on the front. Still glad to have got one, though. And yes, to the best of my knowledge this is the only time he abandons the usual scarf – themed costume apart from the stories you’ve mentioned, though he does wear the Scottish variant with tartan scarf and Tam O’ Shatter in Terror of the Zygons (another figure I’d like and I’m now sure we’re not going to get). 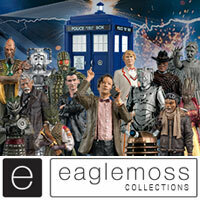 They have the 3 figure sets in stock at Lakeside Essex but no Tardis ones. Chadwell Heath had a box worth of the Tardis ones come in today but they sell like crazy. In the Home Store at Barking I’ve had stories of how they would get a box worth of it and they are out of stock as soon as the replen team puts them out. Durham City Retail Park had two Tardis sets left at lunchtime today. Nothing else. Woman at checkout was surprised to see them and said they must have just arrived as people have been phoning in asking. Ferryhill store had only ninth Dr sets today. On Sunday literally nothing in Blaydon, Metrocentre or Team Valley. Still haven’t been able to find a Tardis set yet after checking 5 different stores. I’ve now tried calling 3 different stores, enquiring about all 4 of the sets and each time, I asked if it’s possible to put any of themto the side for me to not lose out on, and was told by all 3 shops “Sorry, but we cannot put ANY item aside for customers due to being a bargain store and its obviously unfair for others”. So I don’t understand how some people are managing to get this done for them. I’ve now watched a few reviews on YouTube and to be honest, I’ve actually lost interest in the 11th Doctor set, I was never bothered about the 4th Doctor set anyway. 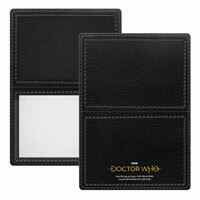 I’m now semi interested in the tardis set and would only want the 12th Doctor set for the Doctor and Bill. I’ve got my Amazon Bill on pre-order since early this year, so I’m sort of torn slightly. Still trying to track down 3rd doctor and tardis! Nothing in Slough H&M home store. Really don’t want to travel all the way to Catford. I got one but does it take batteries?? Did you get one in Slough or Catford? All 3 sets are at B&M Boston Lincs town centre store. I was a bit surprised as thought they would only be at the larger, out of town store. Unfortunately, there were no TARDIS sets as of yet. B&M Lincoln (Tritton Road) has 1 TARDIS on the shelf, as of 10 minutes ago. Hope this helps someone. Forgot to say, call first and they will put it by for you. Good luck! Thanks for this, I phoned Poole this morning and they said they didn’t have any Tardises and didn’t know when they were getting them!!! Finally got through to Poole b&m after about 30 minutes of trying but all sold out of TARDIS sets. They said they may get more in but don’t know, I wonder how many they had in from none at about 10 am to 2 left at 3pm to none again this evening. My son and I managed to get a Tardis set from B&M Poole around midday. After I purchased ours there were four or five sets left on the shelf. Hi Guys, well just been to B&M Bargain store in Catford and they had literally had a over 50 Third Dr and Tardis sets, no other ones yet. The staff were lovely and helpful and had rang me yesterday and put two aside for me (repainting one as of course the 4th dr Tardis was one thing I didn’t get first time around! always the things you don’t get that go uber rare isn’t it!) Anyho they’re gorgeous hope everyone can track ones down if you are after them! Exeter B&M still all 9th Doctor sets. I tried Saturday as well. Hopefully they may get them eventually. Does anyone know where any Tardis sets are being sold, near Liverpool; St Helens or in the local area. Please any help would be appropriated and I would be buying for me and my friend so if they are selling more than one it would be great. Thanks you. I was in Harlow, Essex yesterday and the B&M store there had all of the 3 figure sets, plus a few 3rd Doctor & TARDIS sets. I was there 20 minutes before the store closed and there were at least two of each of the 3 figure sets and about four 3rd Dr TARDIS sets left. Should still be a few there today, I would imagine…. 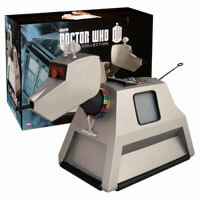 Does anyone know of any TARDIS sets in either the Barnstaple or Bude branches? Love every set! My favourite is the 12th Dr set. Best 12th Dr in my opinion and the Bill figure is much better than I expected. 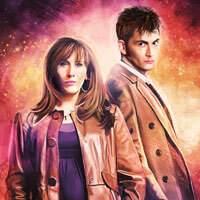 I also really love the 11th dr set. However the head on my 11th Dr is literally fused to the back of the shirt so you can turn his head without ripping the neck apart. But I only display them anyway so not too fussed. Also, has any one noticed that the auton’s head and hands have been painted in a way which makes it look like it’s made of wax! It’s very good. Big help before going hunting but any b and ms down London way or even who shop got any ? 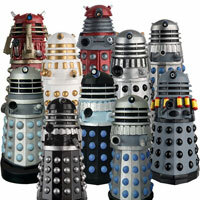 I,ve decided not to bother with the new TARDIS set. I was tempted at first but all the hype and the look of it with that black base has dented my enthusiasm for the chase. I have the first three anyway which i,m fine with. I,m glad a lot of people seem happy with them but i think i,ll see what turns up in future minus ‘shadowy’ base. If they could do one with BAD WOLF, a pink TARDIS from ‘The Happiness patrol’ or a decorated one from ‘Hell bent’ then yes. I don,t resent i,ve missed out. I got those figures and thats good enough. Fair enough. I try to get at least one of everything. If I can get my hands on extra TARDISes I will adapt them to suit non released models, I’ve done a 80s, McGann and War version so far. Costly adapting if you don,t get it right. Nice little hobby though. I prefer waiting for the genuine thing but its more personalised if you do them yourself. What about Norwich at the boundary? They didn’t have any when I went in on Saturday. Would quite like to see a Troughton Tardis and Davison Tardis set in the future. They have the moulds still, they just need to change the colour and make a few alterations. 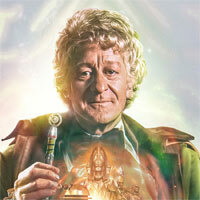 Perhaps a Davison Caves style with the mud on his costume or Planet of Fire waistcoat? Patrick from Evil? I’d like to see it with the Fifth Doctor in hat, from the twin pack figure set with the Ainley Master. You would think after the success of the 3rd Doctor TARDIS, and the fact they have already got the paint masks designed for a 5th Doctor reprint it would be a ‘no brainier’ for next year – fingers crossed. 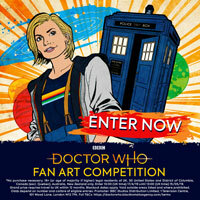 I also wonder if B&M might consider stocking some of the 13th Doctor TARDISes when they come out? 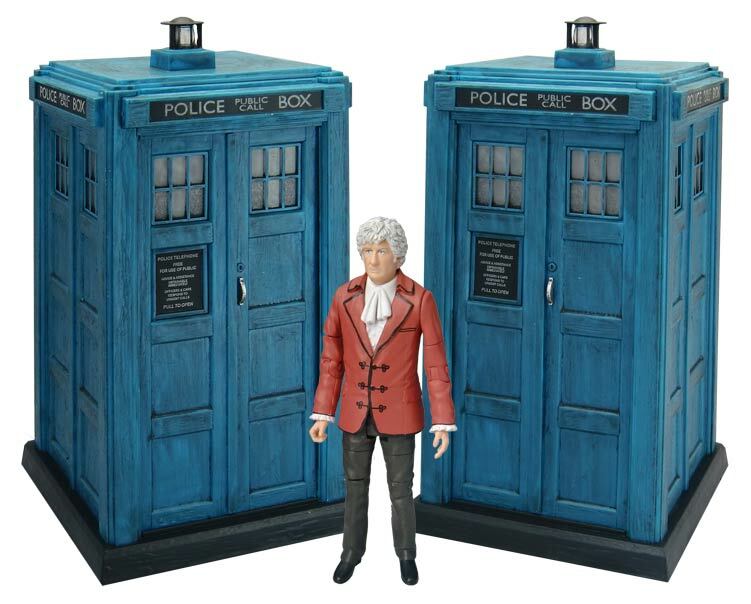 Does anyone know if Southampton have had the 3rd Doc Tardis sets in ?